Visit the village of Campo de Gerês and discover the legendary submerged city of Vilarinho das Furnas, in Portugal. Campo do Gerês, also known as São João do Campo, is a little village with stone houses enclosed in the summit of a mountain integrated in the Peneda Gerês National Park, in the North of Portugal. This little shepherd village is full of tourists on the summer due to its closeness with the signed trails. 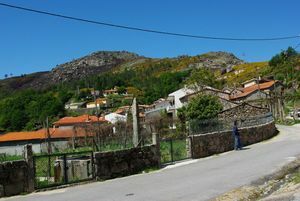 Nearby, lies the legendary village of Vilarinho das Furnas, a very independent and democratic town, with a shared system of the decision-making which, unfortunately, was under-watered when a dam was built in 1972. Its inhabitants collected numerous objects and historical accounts to open the current Vilarinho das Furnas Ethnographic Museum, which also offers a lot of information about the flora, the fauna and the local walks. Trilho da Cidade de Calcedónia Rail: This circular 7 kilometres trail goes all over the summit of Vila do Gerês to Campo do Gerês and goes up to the Miradouro de Cabeço Calcedónia Overlook (with a height of 923 metres), which offers amazing views. Trilho dos Currais Rail: It is a circular 10 kilometres medium level route, which lasts about four hours and goes over pines and cork trees. From it you will have great panoramic views of the rocky fields and wonderful valleys. It you start early in the day, it is possible to see deers and wild boars.